Aston Martin DB9 tuning and Aston Martin DB9 ECU remapping Viezu and our worldwide network of dealers are extremely pleased to supply Aston Martin DB9 tuning and Aston Martin DB9 ECU Remapping. 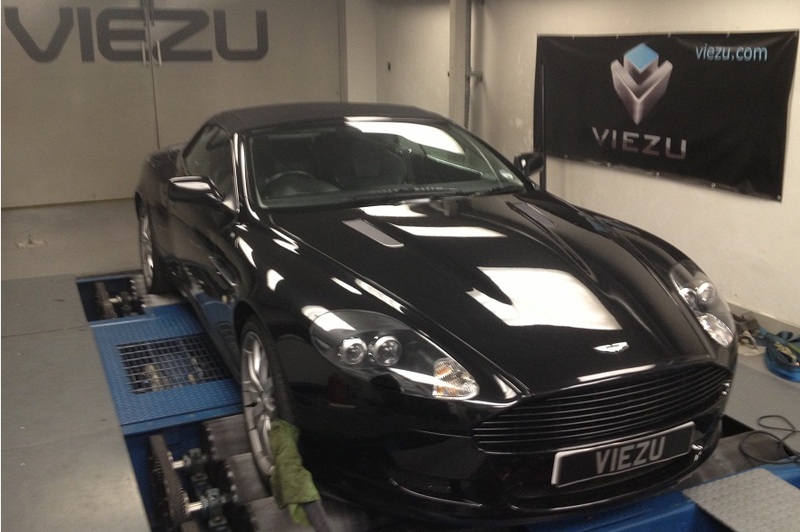 Aston Martin, is a brand resplendent of British engineering excellence, which emanates grace and technological refinement, is deserving of the best in ecu remapping technologies and engine tuning, in which Viezu really hits the mark. Viezu do love our Aston Martin DB9 tuning nd performance upgrades, as well and the engine tuning, we also have a lovely range of DB9 exhaust systesm, cats, and air filters to really push your DB9's performance into the DBS Zone, If you’re after more punch, an increase in throttle response and performance from your Aston Martin DB9 tuning, our prestigious Aston Martin DB9 performance tuning will seriously improve the drivability of your Aston Martin DB9 and account for any additional Aston Martin DB9 modification you have.